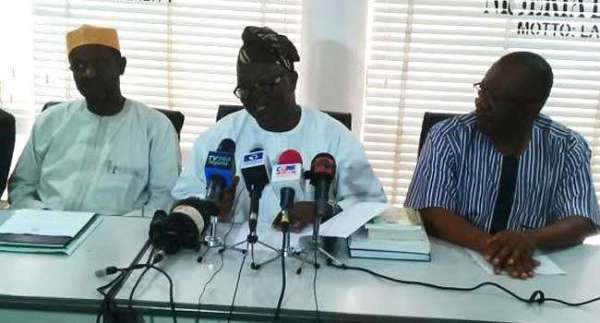 As the ongoing Academic Staff Union of Universities(ASUU) strike enters its 74th day, Round Gist writes on a way to end the lingering crisis between the lecturers and the federal government. Over the years, Nigerian higher institutions have suffered incessant strikes initiated by the Academic Staff Union of Universities (ASUU). In the last two decades,we learnt that ASUU has gone on strike at least 15 times, in a bid to ensure that government listens and attends to its demands. During the strikes, students are usually sent back home, thereby, wasting time which translates in a prolonged stay in the institution. While the union has continuously gone on strike to seek government’s attention, federal government, on most occasions, doesn’t even take ASUU strike seriously, rarely regarding ASUU as a threat. But could things be done differently, taking into consideration the fact that students are the ones at the receiving end of the strike actions? It would be recalled that the ongoing ASUU strike has entered its 74th day and only time will tell when the strike would be called off. The demand of ASUU has been the implementation of the 2009 FGN/ASUU agreements, Memorandum of Understanding (MoU; 2012 and 2013), Memorandum of Action (MoA, 2017), among others. However, if ASUU accepts the current federal government’s proposal of N15.4 billion to public universities for the sake of the students, it would mean postponing the evil day as the issue will resurface in future and the same union will go on strike again. According to NOI Polls (NOIPolls) for 2019, most Nigerians want the government to mainly focus 49 per cent of its attention on Education, while highlighting poor funding as one of the major reasons for the deterioration and challenges in the educational sector, especially, tertiary education, which has led to frequent strikes by academic and non-academic staff since the early 1990s. The report also shows that the federal government’s allocation to education in the last 10 years has been inadequate as only a total of N3.90 trillion or an average of 7.07 per cent has so far been allocated to the sector out of a total budget of N55.19 trillion. While the National Association of Nigerian Students (NANS) and Joint Campus Committee (JCC) have thrown their weight behind ASUU, perhaps some would feel it is now time for students and their leaders to take a bolder leap of faith to decry, demand and make a stance on their rights. As some students clamour for ASUU to call off its strike, others are of the opinion that the strike shouldn’t be called off as it could still come back to hunt them in the future. According to Our findings, students from at least six tertiary institutions from both federal and state comprising of; University of Lagos (UNILAG), Lagos State University (LASU), Ekiti State University (EKSU), Imo State University (IMSU), Yaba College of Technology (YABATECH), amongst others, have opted to support a ‘No Lecture No Vote Campaign’ to demonstrate their displeasure about the present happenings. Speaking to the press, the chairman, NANS JCC, Lagos axis, Abdulqowiyy Busari, said if the government refuses to agree to ASUU’s full demands, then, the students will do what they should have done before now. ‘There are plans on ground to stage a very gigantic protest blocking major FG roads in Lagos State,’ he stressed. Reacting, Education Rights Campaign (ERC) Coordinator, Lagos State and a student of LASU, Nurudeen Yusuf, said the federal government needs to meet the demands of ASUU in full such that ASUU will not have any reason for going on strike nor students returning to poor teaching and learning conditions. According to him, “The No Lecture, No Vote’, simply means, if there is no commencement of academic activities in Nigeria Universities, then no February 2019 general election.